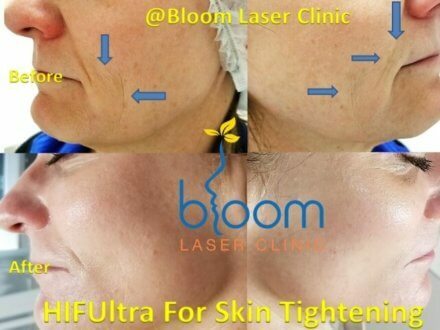 HIFUltra device is the most advanced technology for skin tightening based on High Intensity Focused Ultrasound (HIFU) which will lift and tighten skin causing a Non-Surgical face and neck lift. 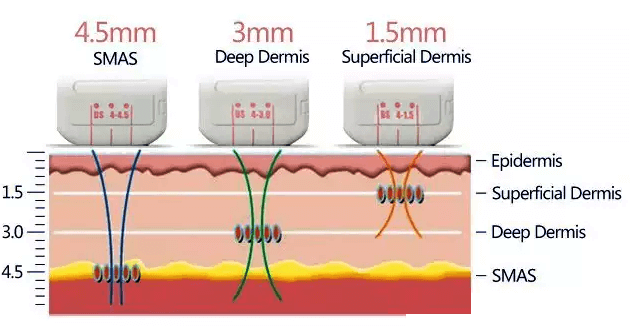 HIFU is the only non-invasive treatment that can specifically target the three different layers of the skin and SMAS Superficial muscular aponeurotic system which is addressed in cosmetic surgery without cutting or disrupting the surface of the skin. HIFU uses tried-and-true ultrasound technology, which has received FDA and Health Canada clearance for use in this procedure. Collagen is a natural protein that gives skin its youthfulness by keeping it firmed, toned and elastic. As we age, collagen loses its elasticity and its ability to stand against the effects of the gravity that pull the skin downward. 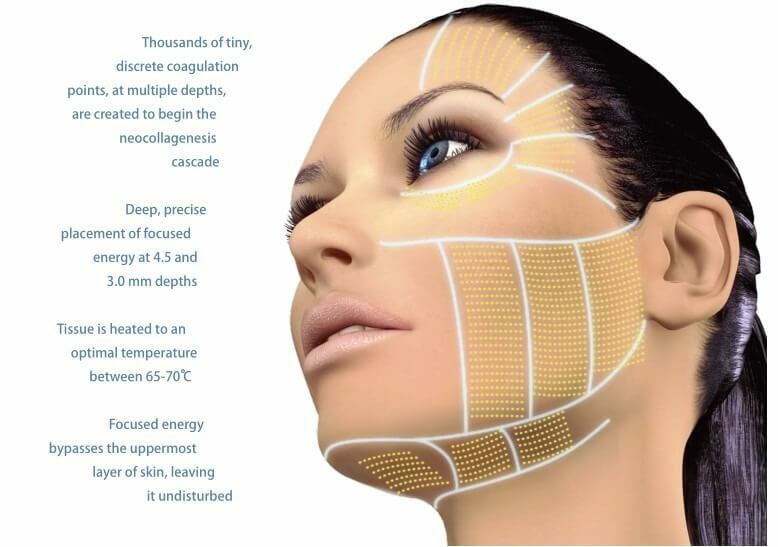 HIFU delivers focused ultrasound energy below the surface of the skin, at the optimal temperature to contract the facial layer as well as stimulate new collagen synthesis. As a result, the skin will actually begin to lift and tone over time. 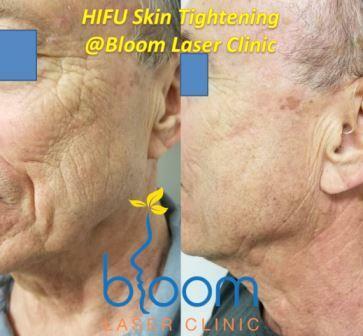 HIFU relies on your body’s own collagen-building process for natural, noticeable results. No, unlike a Surgical facelift, HIFU is a non-invasive procedure that addresses the skin and the deep layers below it but doesn’t entail cutting or disrupting the surface of the skin. It is a clinically proven non-invasive alternative for those not ready for surgery—and can even be an option for patients who wish to extend the effects of cosmetic surgery. 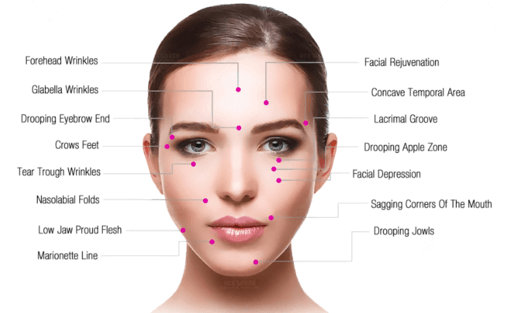 How long does the HIFU treatment take? A full-face treatment takes 45-60 minutes, and a partial face or brow lift treatment can take around 30 minutes. Patients may enjoy some initial effect but the ultimate lifting and toning will take place over 2-3 months, as aging collagen is replaced with new one. As this collagen-building process continues, further improvements can appear up to 6 months following a procedure. How long do results last? 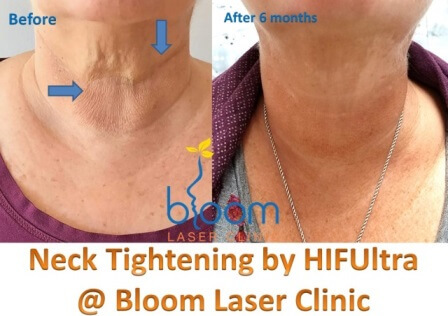 Patients treated with HIFU still have fresh young collagen after a year’s time following the procedure and can continue for up to another year depending on the condition of the skin. Future touch-up treatments can help keep pace with the aging process, which varies by individual. Will I feel the ultrasound during the treatment? Is HIFU painful? What you are feeling during the treatment is actually tiny amounts of focused ultrasound energy being delivered below the surface of the skin. Some may feel discomfort while the ultrasound energy is being delivered, but it is temporary and a positive signal that the collagen-building process has been initiated. Comfort thresholds vary from patient to patient, Your practitioner will consult with you prior to your skin treatment to make your experience as pleasant as possible. Patients typically leave comfortable and excited about the benefits to come! Slight redness for up to an hour or so following the treatment and a small percentage of clients may have slight swelling, tingling or tenderness to touch, but these are mild and temporary in nature. The feeling of a muscle workout soreness is common but relieves itself quickly. Other, less common post-procedural effects may include temporary bruising or nerve numbness in small areas of skin which will fade by time. Who is NOT a candidate for HIFU procedure?